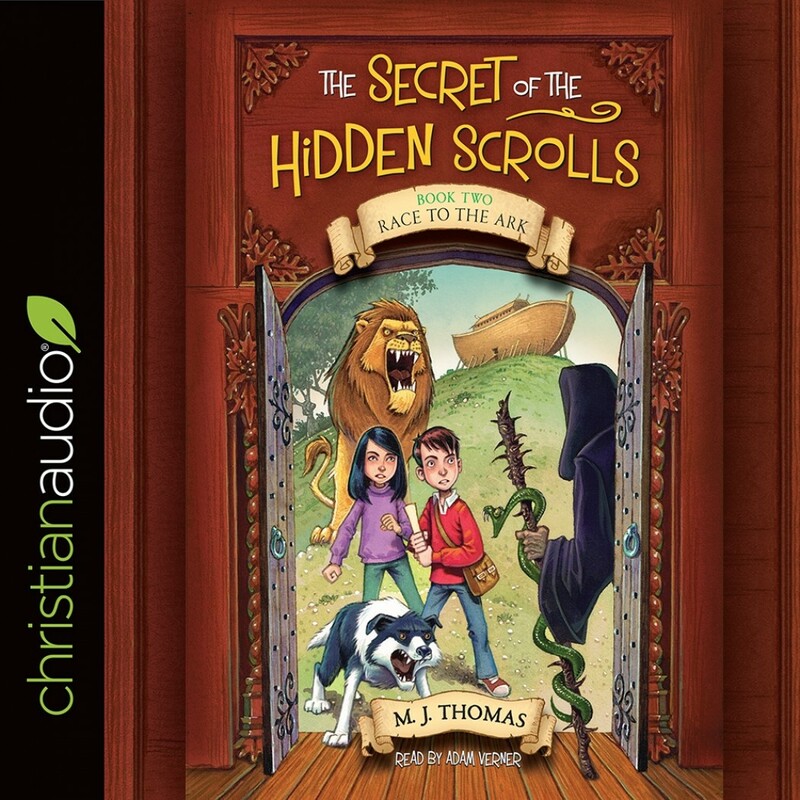 Race to the Ark | M. J. Thomas | Audiobook Download - Christian audiobooks. Try us free. In Race to the Ark, Peter, Mary, and their faithful dog Hank travel back to the time of Noah. With only seven days to solve the riddle of the scroll and escape the impending flood, Peter, Mary, and Hank must race to help Noah and his family finish the ark. Along their journey, Peter and Mary evade a group of young ruffians and ultimately come face to face with the Dark Ruler, an evil man who reminds them of a snake they met in the Garden of Eden. Enthralling action and compelling illustrations will have children glued to the pages of this rambunctious Bible-based story. Ages 6-9.